Many more details concerning the single player campaign/story for Battlefield 4 have been revealed on the Battlefield Official Blog. The post informs us that, taking the role of Sergeant Daniel Recker, players will travel to and battle in three theatres of combat; Azerbaijan, Shanghai and Singapore. 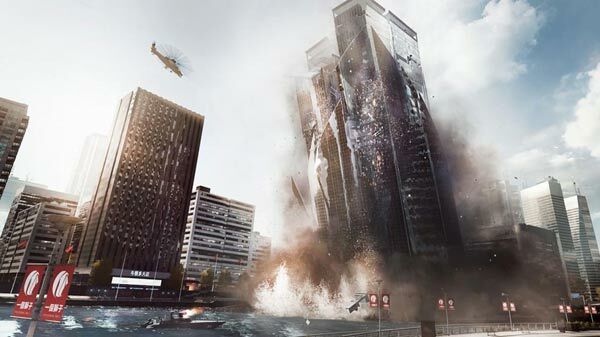 We saw the first Battlefield 4 trailer and the simultaneous release of the seventeen minute long "Fishing in Baku" gameplay video at the Game Developer Conference (GDC) in San Francisco in March. EA/DICE is developing the new game with the Frostbite 3 graphics engine and the game environment in the videos looked very detailed and realistic. At the time EA said that the single player game would contain "huge environments, a playground of destruction, access to an arsenal of vehicles and the ability to direct squad mates". Now we have much more background information on what the story driving the missions you undertake will be. Your game will start in Baku, Azerbaijan - this area was featured in the gameplay video at GDC. You will be in Baku to collect intelligence from a defecting Russian General but once your squad is discovered you will have to fight through waves of Russian troops in order to escape to the USS Valkyrie. The intelligence you gathered leads you to set course to Shanghai where Chinese Admiral Chang is planning a military coup, which would receive Russian backing. You have to undertake a covert mission in Shanghai to extract a number of VIPs. It won't be easy as China is under martial law and security forces are on alert with both Russian and US Navy forces positioned off the coast of China. Once you have secured the VIPs, including a CIA field operative, you have to get out of Shanghai and back to the Valkyrie. Shanghai is in "chaos and turmoil" by this time with people protesting in the streets. Setting off for Singapore on the Valkyrie you must there rendezvous with the USS Titan and the 7th carrier group. However when you arrive in Singapore there are "scenes of fire and mayhem" with the flagship sunk - what will you do from here? 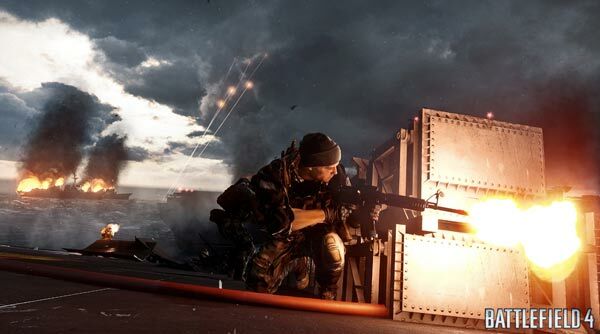 Battlefield 4 will be released on 29th October on PlayStation 3, Xbox 360 and Windows PC. The game is also set to be released upon Xbox One and PlayStation 4. Titan Fall has seen this is the case and dropped SP completely to focus purely on MP instead of a ‘strapped on’ 4hour campaign.